We like beans in our family! The beans are tasty and the tins make great weights to hold things in place while you are waiting for glue to dry. This week I’ve been making the main ‘power bus’ for my layout. Essentially it is two wires running the length of the layout to carry power to all the track, points (called switches in the USA) etc. Smaller wires (called ‘droppers’) are soldered to each piece of track and each point, then connected to the power bus. This provides a direct power supply to each piece of track, ideal for DCC. 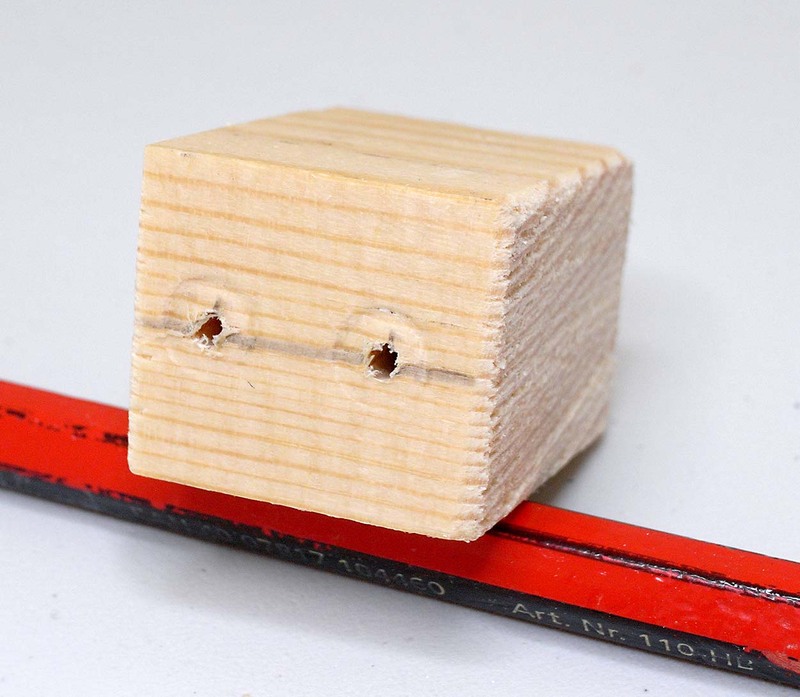 I started by cutting several small wooden blocks and drilling two small holes through each block. I glued these to the underside of the baseboard and I waited while the cans of beans did their magic. Then I threaded two wires through each block. This gave me a (primitive) power bus.